For the last time: the Chevrolet Volt is not a product of General Motors’ government bailout. It was conceived in 2007, when George W. Bush was still president, and was well under development by the time a banking crisis and thirty years of mismanagement caught up with old corporation. 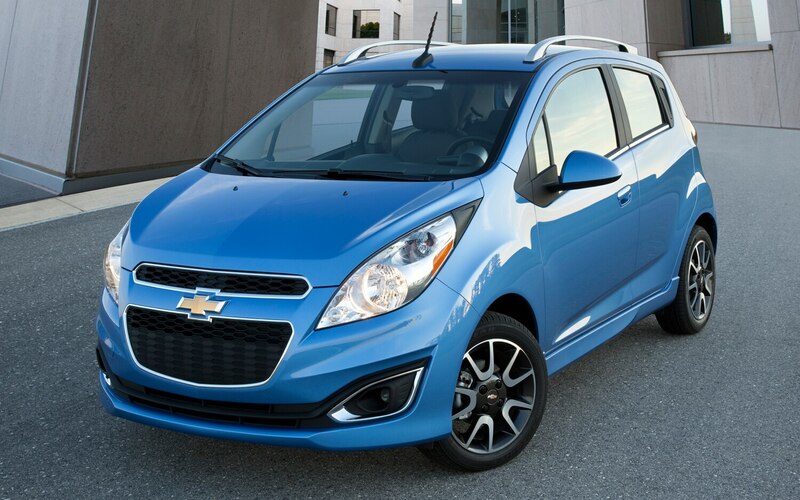 The Chevrolet Spark? Well, that seems like a different story. 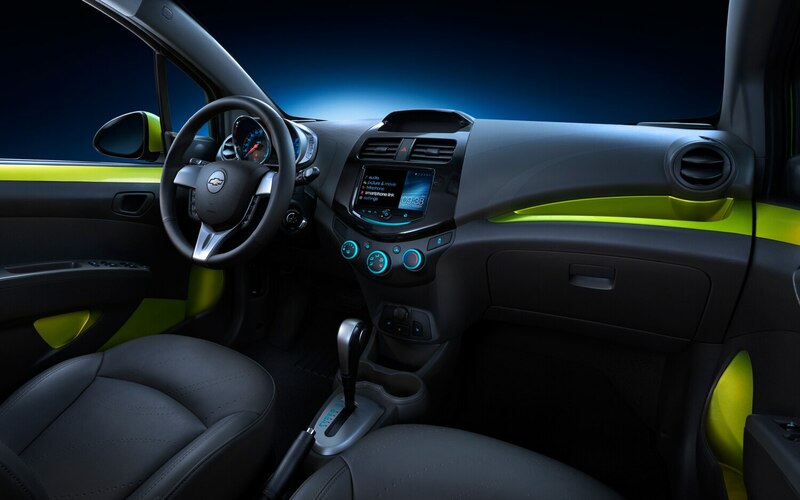 Although the minicar also debuted in concept form in 2007, then-vice-chairman Bob Lutz quickly dismissed the notion of actually selling it in the United States. It was only two years later, as GM geared up for intense negotiations with Barack Obama’s incoming administration, that a bound-for-U.S.A. 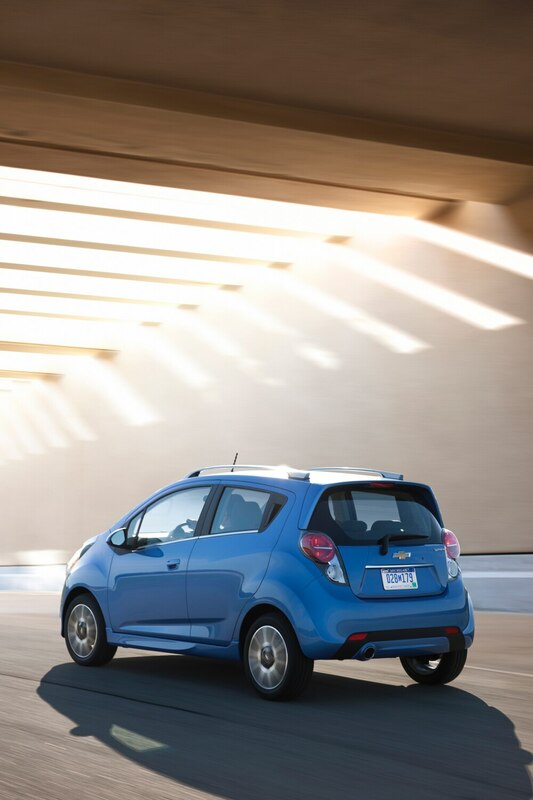 Spark resurfaced at the Detroit auto show to prove that the company was serious about producing small, efficient cars. With the Americanized Spark due to arrive in dealerships late this summer — the heart of campaign season — we decided it was time to find out whether the Spark brings change we can believe in or is the harbinger of a socialist apocalypse. The best cheap cars, including the original BMC Mini and Fiat 500, transcend their proletarian price tag with cheerful styling. 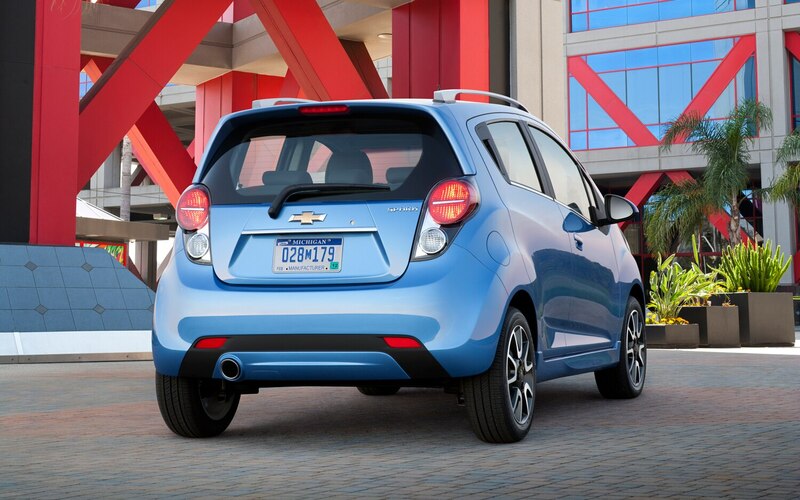 The $12,995 Spark tries to do the same. A bold front fascia, standard fifteen-inch aluminum wheels, and eye-searing colors like “salsa” and “jalapeno” ensure that it won’t disappear in a sea of larger, pricier cars. Alas, the four-door hatchback also may draw attention for its proportions, which are as goofy as those of a tween halfway through puberty. 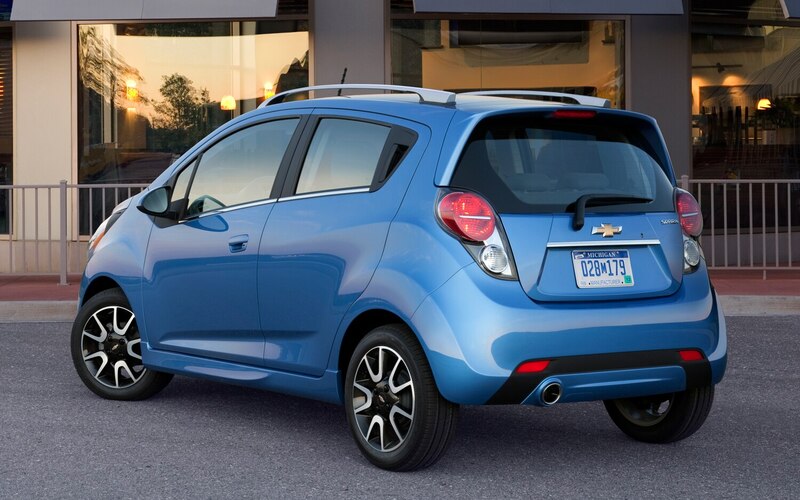 The Spark is more than a foot shorter but is 1.3 inches taller than the pricier Chevrolet Sonic. Huge headlamps span the length of a stubby hood. At least it’s not boring or dreary. The same can’t be said of the interior. 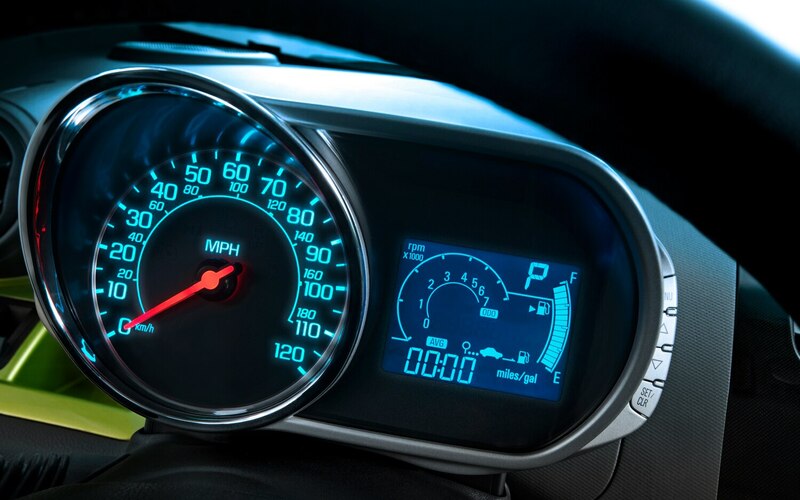 It reprises the motorcycle-inspired gauge cluster from the Sonic, but the downgraded materials remind us that at this end of the market, a $1620 lower base price is a big deal. 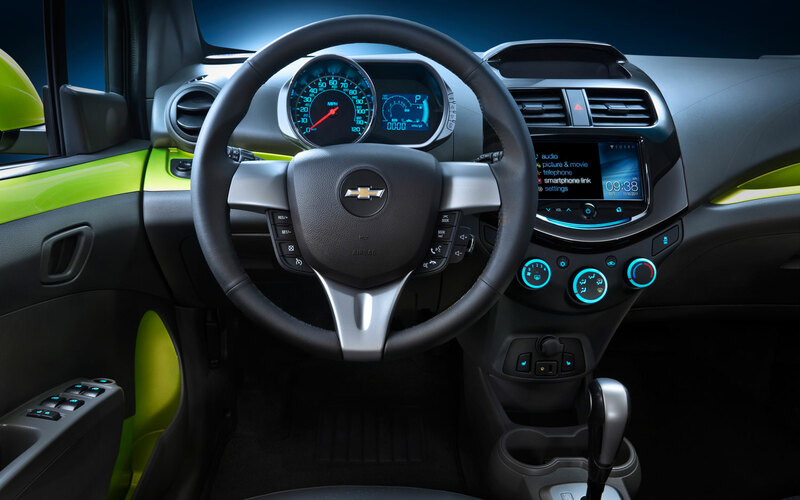 Body-color trim thankfully interrupts the sea of gray plastic and provides another reason to opt for one of the louder colors. Power windows, but neither power door locks nor mirrors, are standard. 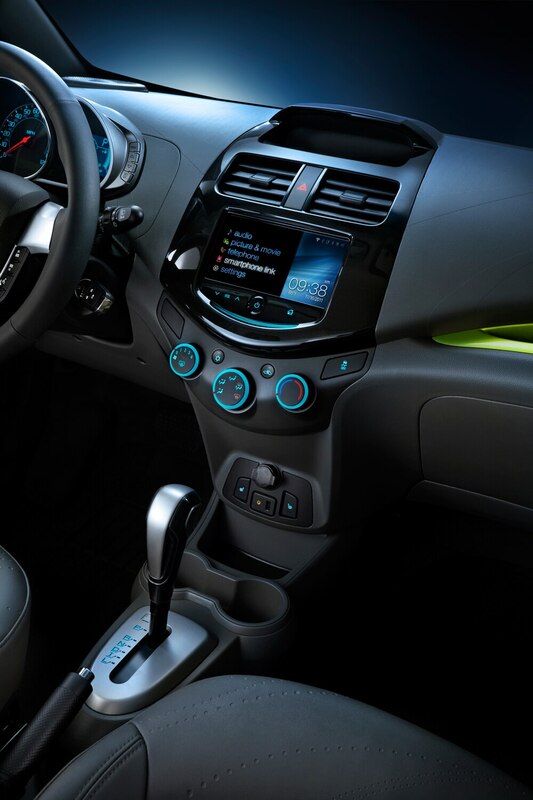 Upper trim levels include a seven-inch color touch screen and a USB port. The high roofline provides plenty of headroom even in the back. In other markets the Spark seats five, but in an acknowledgement of Americans’ bulk, the middle seat has been eliminated here. That rear bench folds down to open up 31.2 cubic feet of cargo volume. 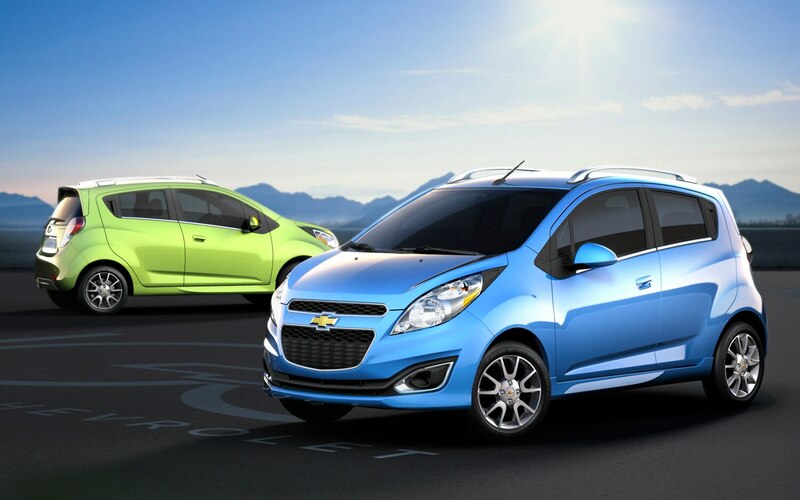 The Spark, which is already on sale in more than 100 countries, was engineered in Korea and will continue to be built there. 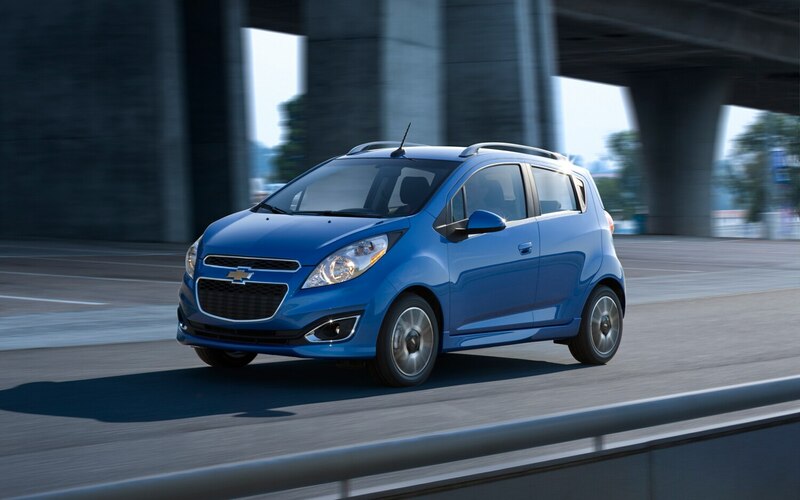 However, the Spark spent plenty of time at GM’s Milford, Michigan, proving ground to prepare for the vigors of the U.S. market. Changes include stiffer front dampers, larger wheels, electric power steering, and a slight displacement increase to the four-cylinder engine. That 1.2-liter engine is still rather petite, but its 83 hp seemed sufficient as we guided the Spark through the ride and handing development loop at the aforementioned proving ground. The steering is quick, precise, and provides better feedback than we’ve experienced in other small cars with electric steering and, just as important, doesn’t get twitchy at higher speeds. Early yet subtle stability control intervention keeps the car pointed in the right direction through midcorner bumps. The throws of the five-speed manual gearbox are smooth if a bit too light (there’s also a four-speed automatic). Our short drive did not include any time on the highway, without which it’s impossible to issue any kind of conclusive verdict. 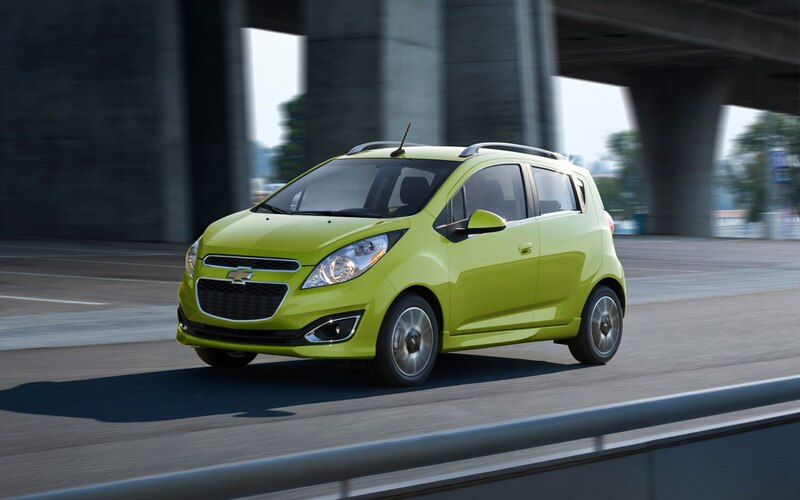 Still, we’ll allow that the Spark comported itself far better than we’d expected. 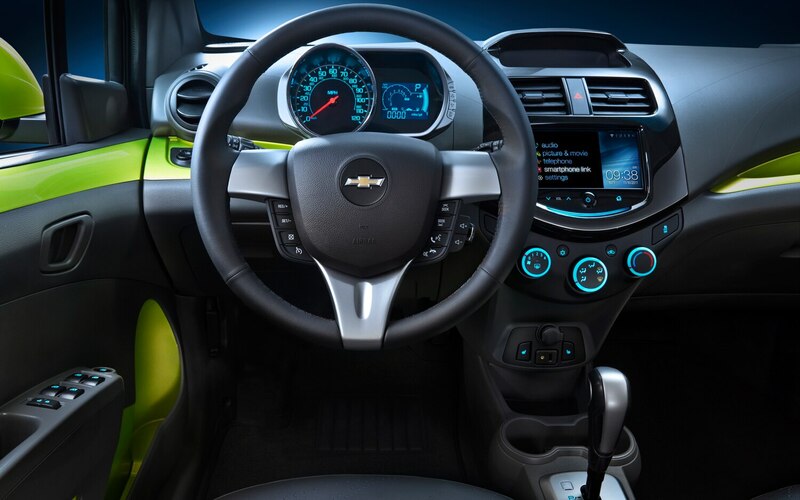 Chevrolet promises that fuel economy will be “competitive” with the likes of the Scion iQ and the Fiat 500 (which the EPA classifies as minicompacts), so that should translate to a combined figure of about 35 mpg. 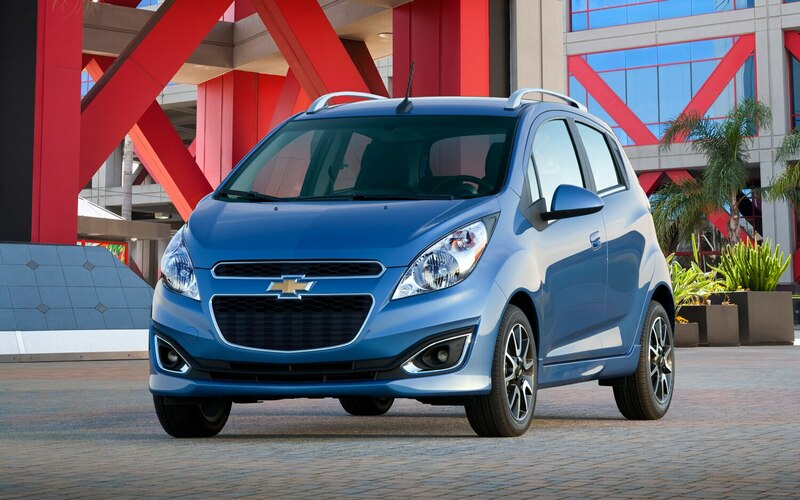 That’s not much better than most subcompacts. 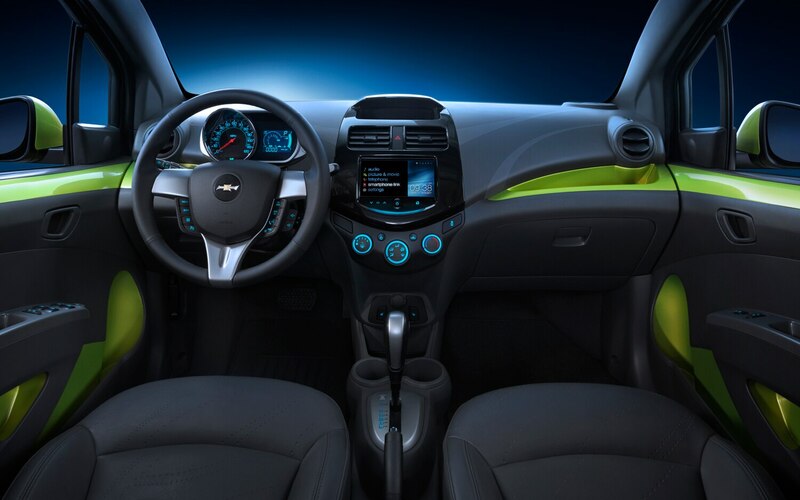 Such is the reality in a segment that can’t rely on pricey fuel-saving technologies but also must meet modern safety regulations — the Spark has ten air bags. 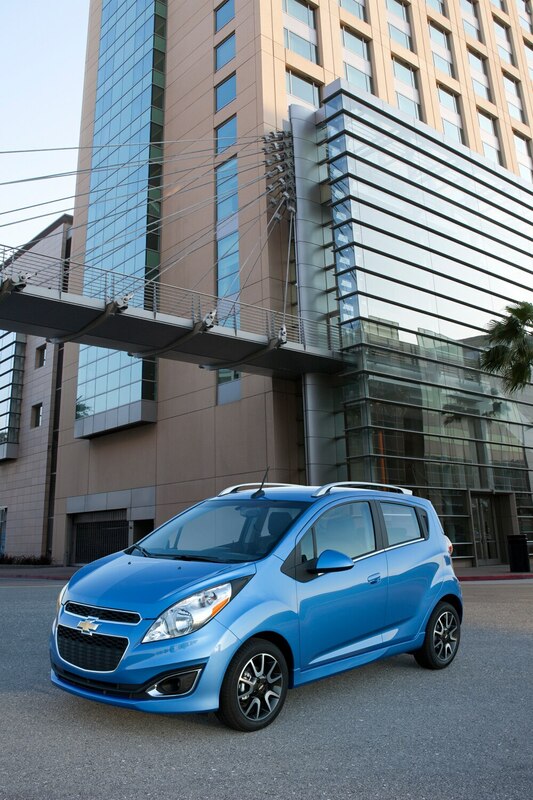 Chevrolet’s solution for this arrives next year in the form of a battery-electric version of the Spark. It’s rather unlikely that President Obama will tout the humble Spark as a campaign achievement, but neither is it something to excoriate. 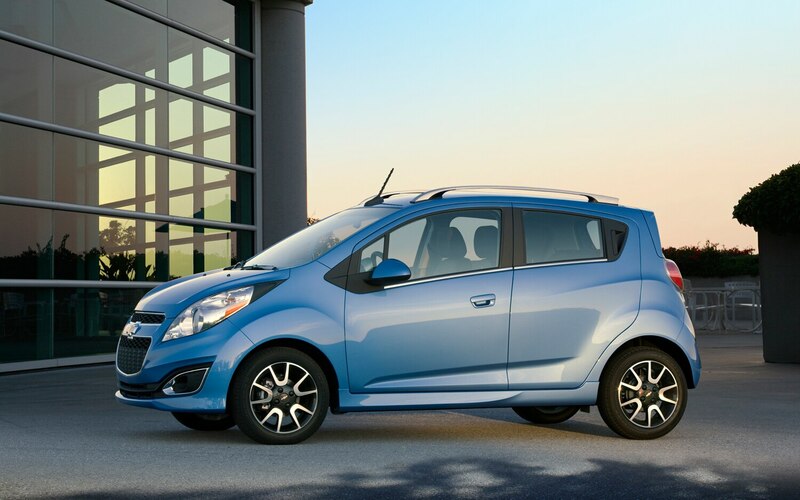 The Spark pleasantly fills a bargain-basement niche that’s been all but vacated as compacts and subcompacts have climbed higher in price and refinement.